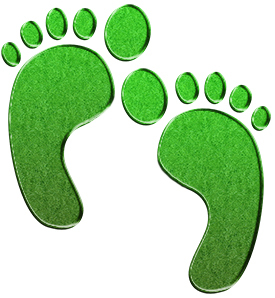 It doesn’t matter if you are leading the charge against global warming or just a homeowner looking for ways to save a few dollars on energy costs, we can all benefit from reducing our carbon footprint. Your carbon footprint is basically how much carbon dioxide (CO2) you produce from your lifestyle. Factors include how much you drive, heating and cooling your home, trash you produce and so forth. Some of these items are unavoidable if we actually want to be able to survive, but there are many things we can do to reduce our footprints. Most of the time, it doesn’t take a lot of effort or money, but they do have a big impact. Lets take light bulbs for example. There are approximately 125 million houses in the United States (source – Google). If every home changed one light bulb that is on for 2 hours a day from a 100watt bulb to a 26watt CFL that would be over 18 billion watts of energy saved. At a conservative average of 10 cents per kilowatt that is about $1.8 million in savings. Unfortunately all that money doesn’t come directly to you but hopefully you can see how a small item like changing 1 light bulb can have a large impact. To look at it another way, that would be about the equivalent of removing 2,700 cars from the road. Other items like driving less, recycling, adjusting your thermostat and more can all be simple little things we do but when done as a whole country can have a huge impact. Want to know how much green house gas your car produces in a year? Air King has a calculator that will let you know as well as many other helpful tips to reduce your carbon footprint at http://www.airkinglimited.com/page/climate-change.html. For most people in the United States we have our routines down. Wake-up around the same time everyday of the workweek, leave around the same time and come home around the same time. Having routines can be a good thing, especially when it comes to heating and cooling your home. It doesn’t make much sense to heat or cool your home when it is empty while you are at work. Almost all homes have a thermostat that controls when the heater or air conditioner comes on. A lot of these thermostats are manual thermostats meaning that the homeowner needs to physically turn them up or down to the setting they desire. These work fine, but it requires the homeowner to remember to set it. A programmable thermostat simplifies the process and can pay for itself over the course of it’s life. 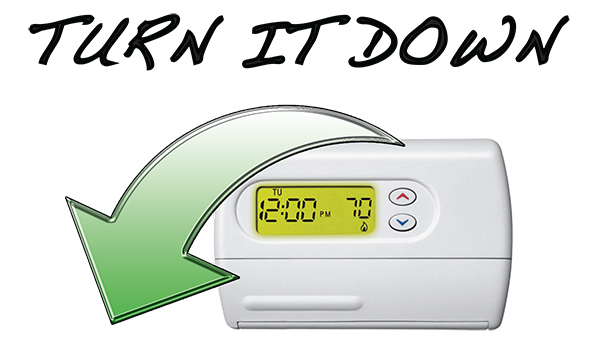 With a programmable thermostat you can set the desired temperature and time frames. For instance, if you leave at 7:30am everyday, you can set the thermostat up or down 10 degrees at 7:30am and maintain that level until you return. Set it once and it automatically takes care of it until your schedule changes. Just think, if you are away from your home 8 hours a day that is 33% of the day. That can translate into a lot of energy and cost savings if you are not heating or cooling the empty space. There are a lot of options when it comes to a programmable thermostat including ones you can even sync with a smartphone. A homeowner with some wiring knowledge can typically install programmable thermostats but Air King recommends you consult a HVAC professional. To learn more about other helpful cost saving tips visit the climate change section at www.airkinglimited.com.